When image means everything and your dress shirts could use a nice boost in style, there is Steven Land. If you've been a fan of their cotton dress shirts for a long time, the news is that they have delved into dress shirts with loud pattern style swagger. 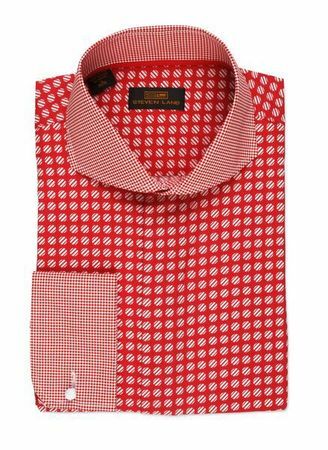 This is an red dot pattern french cuff dress shirt featuring a spread collar. Fabric is pure cotton broadcloth.